A new five-year investigation revealing that more than 170 million Americans were drinking water contaminated with radioactive elements is also renewing concerns about President Donald Trump’s pick for a top environmental position in his administration—Kathleen Hartnett White, who ran Texas’ environmental agency while it was falsifying reports of radiation levels in tap water. She is now a fellow at Texas Public Policy Foundation—a conservative think tank that’s funded by the Koch Brothers and other major corporate donors—but if Trump gets his way, White will head the Council on Environmental Quality (CEQ), which is charged with making sure federal environmental agencies are following the law. In December, the Senate Enivornment and Public Works Committee declined to approve her, and Sen. Tom Carper (D-Del.) released a statement explaining, “White’s concerning record, unacceptable statements, and shockingly poor performance before the EPW Committee last month have elicited serious concerns on both sides of the aisle and all across the country.” Despite the committee’s decision, the Trump administration resubmitted White’s nomination earlier this week. “Putting someone in charge of CEQ who deliberately falsified data to get around federal regulations is outrageous, and the fact that her deception left people at serious risk of cancer is even more alarming,” said Scott Farber, vice president of government affairs for the Environmental Working Group (EWG), which conducted the nationwide investigation into radiation levels in drinking water. 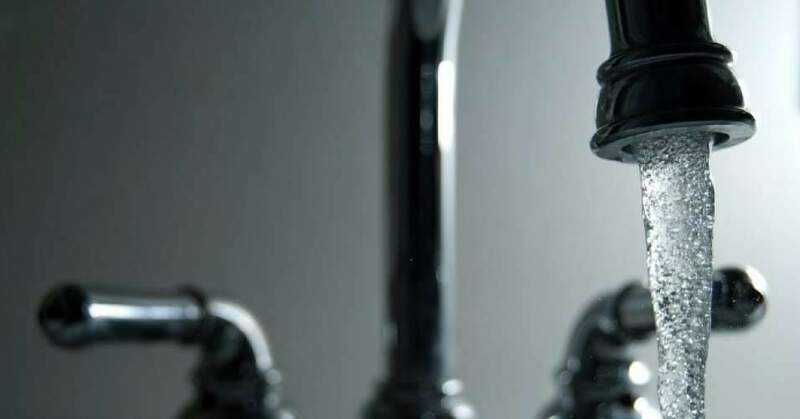 For its study, EWG tested for radioactive elements in tap water across the country from 2010 to 2015, and found “radium, the most common radioactive element found in tap water” in “more than 22,000 utilities serving over 170 million people in all 50 states.” While California has the highest number of residents affected by radiation in tap water—about 25 million people, or 64 percent of the state’s population—the state with the most widespread contamination is Texas, where utilities serving 22 million people, or about 80 percent of the state’s population, reported radium in drinking water. Although most drinking water systems tested fell below the EPA threshold, EWG warns “the probability of developing cancer decreases with lower doses of radiation, but it does not go away.” The group has created an interactive map that enables users to review drinking water radiation levels by zip code. This entry was posted in Climate Change & Environmental Issues, Corporate Personhood, Corruption, Government, Health Care, Human Rights, Social Justice, Water and tagged Atrocities, Center for Disease Control, Corruption, Council on Environmental Quality, Donald Trump, Environment, Environmental Working Group, EPA, Health Care, Human rights, Kathleen Hartnett White, radioactive contamination, radium, Senate Enivornment and Public Works Committee, social justice, Texas Commission on Environmental Quality, Water on January 13, 2018 by ew.